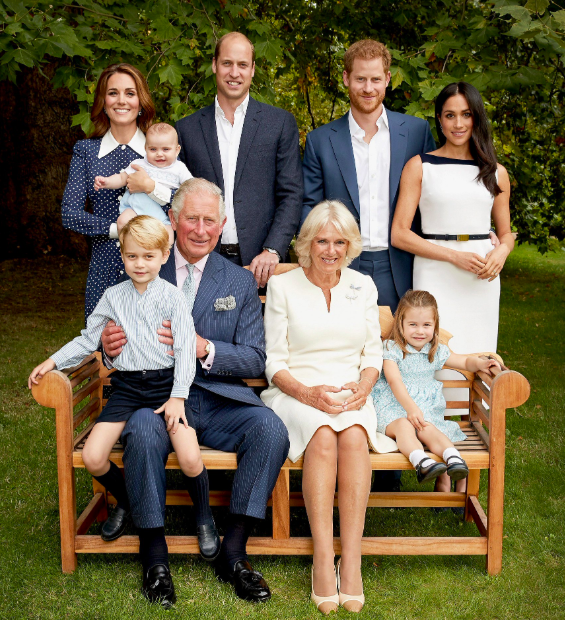 Most Royal fans are well aware now that the Cambridge's and the Sussexes will be splitting households. Recently, Prince Harry and Meghan Markle have officially confirmed that they will be basing their new royal household at Buckingham Palace, after previously sharing staff with Prince William and Kate Middleton at Kensington Palace. We’re going to take a look at what this means for the Royal family, how it will affect everybody, and delve deeper into the meaning behind what a "royal household" really is. Before we delve into the actual meaning of a royal household and everything it entails, it's important to know that there are three different households overall - that is the Buckingham Palace, Kensington Palace, and Clarence House. Like we’ve mentioned earlier, Prince William and Kate Middleton are currently based at Kensington Palace. So, what’s behind the actual term of a "royal household"? The general public might have a wrong understanding of what it actually means. Most of the time, when we hear the word "household", we associate with a place where somebody lives - such as a place of residence. But when it comes to the Royals, things are slightly different. A "royal household" isn’t where the royal family necessary lives; it’s a place where the administrative departments are located, as well as staff. Cambridge's situation differs from the norm because they actually live in the same place where their household is based. However, most of the time, this isn’t the case. HOW WILL THE SPLIT AFFECT THEM? Of course, with the Duke and Duchess of Sussex splitting households, the Cambridge’s and Sussex’s will inevitably have to part ways. Before this happened, Harry and Megan had asked for the Queen’s permission to base their new household at Buckingham Palace, since they wouldn’t be able to do so without her permission first. 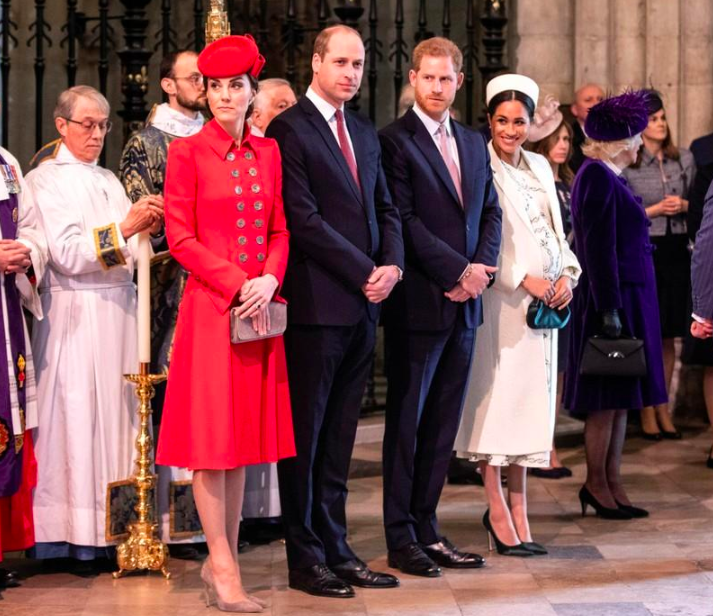 The couple has already begun the process of choosing and appointing new staff for the big move that is supposedly going to happen sometime after the royal baby is born this spring. The most impressive individual on the list is Sara Latham, who was the former campaign advisor to Hilary Clinton and was hired for the pair as their Head of Communications. The tabloids ensured that they didn’t miss their chance, either. 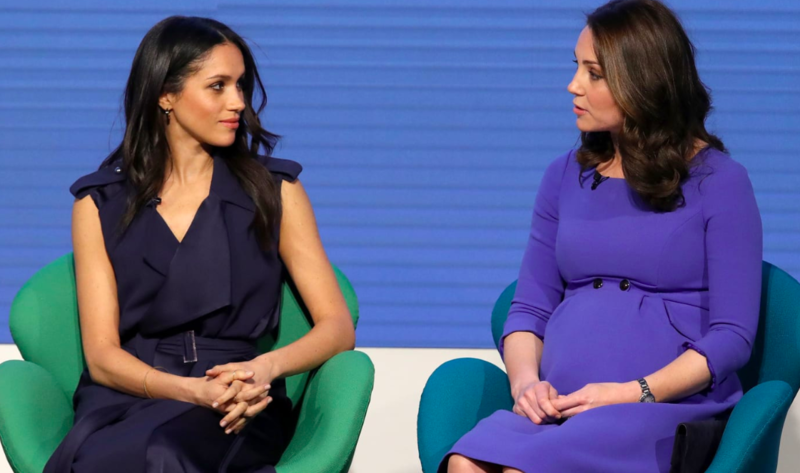 This was the perfect opportunity for the media to further feed the flames of the competition between Meghan and Kate and the supposed "feud" between the Cambridge’s and Sussex’s. However, former Royal butler and etiquette expert, Grant Harrold, shared with the INSIDER that the separation has nothing to do with that. Apparently, all it is is "a natural progression." "The Kensington Palace divide is not unusual. We've never lived in a time where the households have been this large, and we haven't lived in a time where they haven't been run by Buckingham Palace. William is the future king and so he would have to break away eventually. The Royals are more popular than they've ever been, and there's so much to it — that's what it comes down to. This is what has to be done to make it work officially." Now, after clearing that out of the way, we're going to break down exactly who lives where. We know that it can get slightly confusing. When we think about the royal family, the Buckingham Palace is the first thing that comes to mind. It's the one household that the majority of the world actually knows and associates with the family. 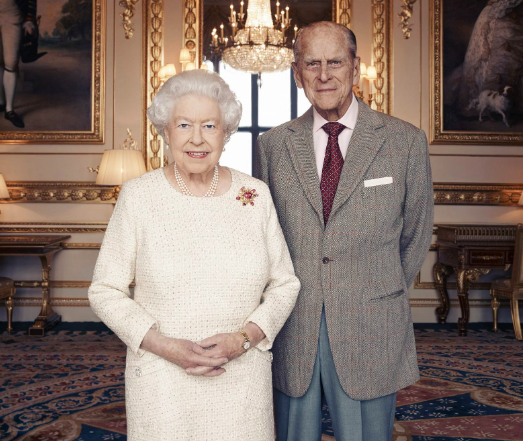 The only members of the family who have based their household and their residence at Buckingham Palace are Queen Elizabeth II and Prince Philip. The rest of the members live in other residencies. Anne, Princess Royal, and Princess Alexandra both currently live at the St James's Palace, but Prince Andrew resides at Windsor's Royal Lodge. Prince Edward, Earl of Wessex and Sophie, Countess of Wessex reside in Bagshot Park. The newest couple of the royal family, Prince Harry and Meghan Markle, have lived at Kensington Palace since their marriage last year, but have decided to relocate to Frogmore Cottage, on the estate of Windsor Castle, before their baby comes into the world. In the meantime, the Duke and Duchess of Cambridge are based at Kensington Palace instead. 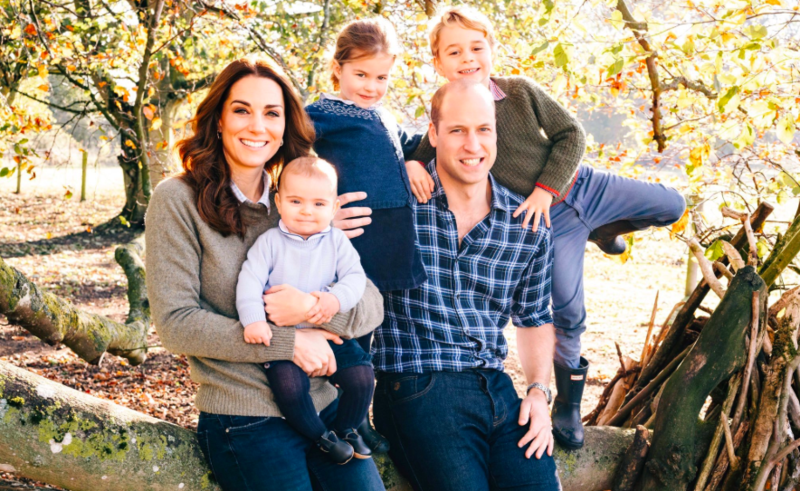 The couple lives their together with their three kids, Prince George, Princess Charlotte, and Prince Louis. And they’re not the only ones! After their royal marriage that took place last year, newlyweds Princess Eugenie and Jack Brooksbank have also moved into the palace. There’s a list of other royal family members that based their household and residencies at Kensington Palace, too. This includes Prince Richard, Duke of Gloucester; Birgitte, Duchess of Gloucester; Prince Edward, Duke of Kent; Katherine, Duchess of Kent; Prince Michael of Kent; and Marie Christine von Reibnitz, Princess Michael of Kent. And lastly, we’re finishing off with the final - and smallest - royal household on the list. This residence is housed by the Prince of Wales and Camilla, Duchess of Cornwall only. It’s their official London residence as well. 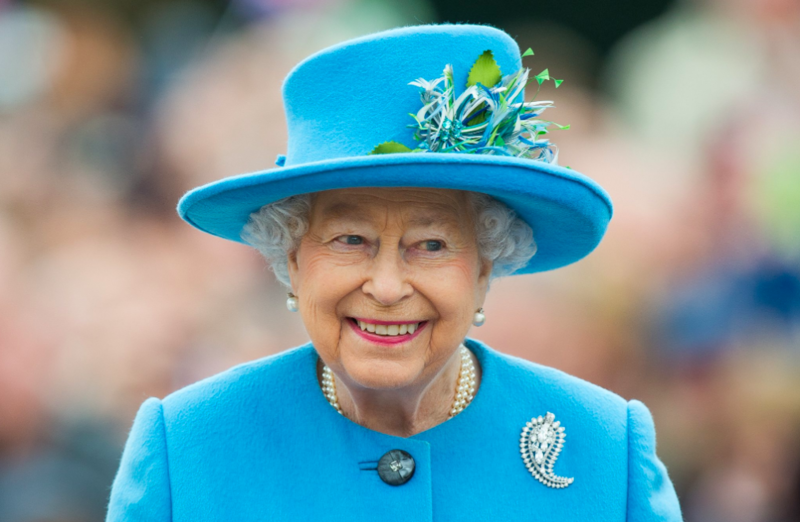 The history behind the house is a bit of a long one, as before it was home to The Queen Mother, as well as Prince Philip and Queen Elizabeth II, too, before she became a monarch. 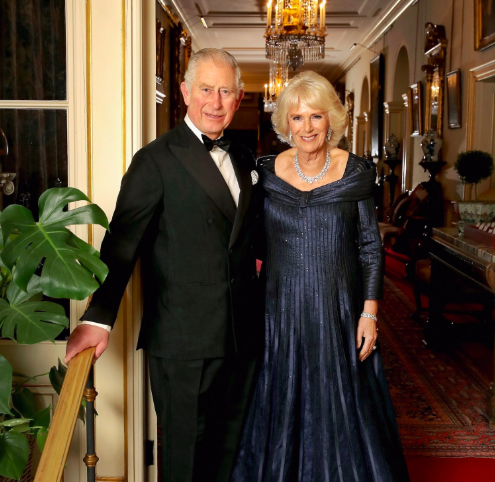 Now, the household serves in supporting Prince Charles and Camilla’s engagement in 350 various organizations, including their official royal duties, too. When you’re a royal, nothing comes easy. And it looks like even choosing your residency can be a tricky and tasking matter to resolve. In the end, though, it's worth it - we can understand the Duke and Duchess of Sussex’s decision since the pair is just looking out for what's best for their family down the road. What do you guys think about the couple’s choice in splitting households? Let us know your opinions below! And check out our related articles about the royals for more interesting developments.